As The July 2nd date of Amfest Expo, Lagos 2018 draws nearer, panelists on various days of the weeklong event have started sending in their confirmations to speak at the event. With the likes of DJ Jimmy Jatt and Alex Oke having already confirmed their appearance, the latest international panelist to send in their confirmation is Chinese record label manager Ni Bing. Ni Bing is the founder of Martial Artists Management, a brand that promotes, manages and books international electronic music acts coming to China, Martial Artists manages the likes of Richie Hawtin, Four Tet, Morcheeba and U2/Björk producer Howie B. Bing also recently founded a new label, Drum Rider, a label that focuses on quality electronic music locally and internationally, managing artists with real development potential. Ni Bing, who has travelled all over the world, was one of the mentors at the World Music Expo 2016 Event in Spain. 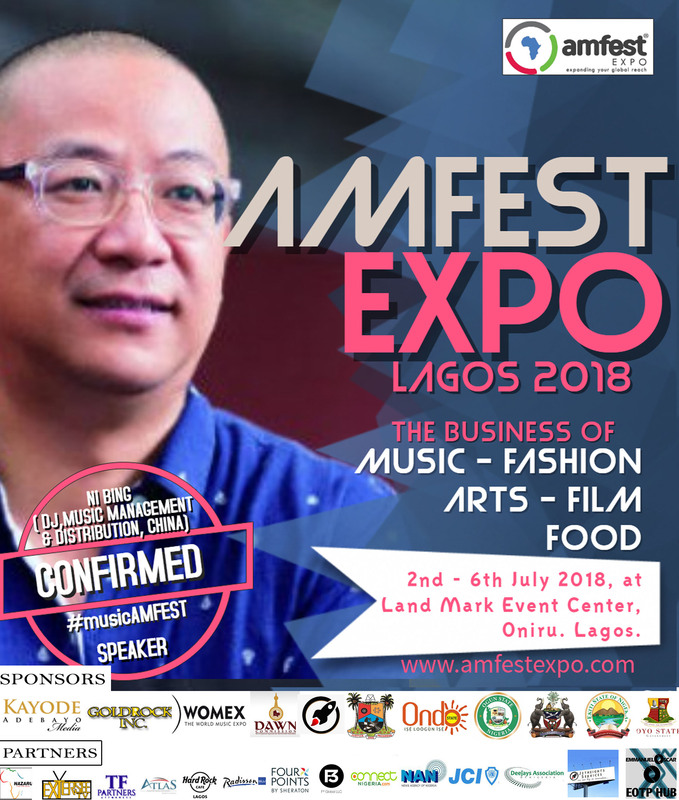 Bing brings to Amfest Expo, Lagos 2018, 20 years of managing music brands in the World’s most populous nation, the People’s Republic of China. He will be speaking on how Artistes and creatives can produce the kind of songs that will give them a leverage in a billion dollar Chinese market.